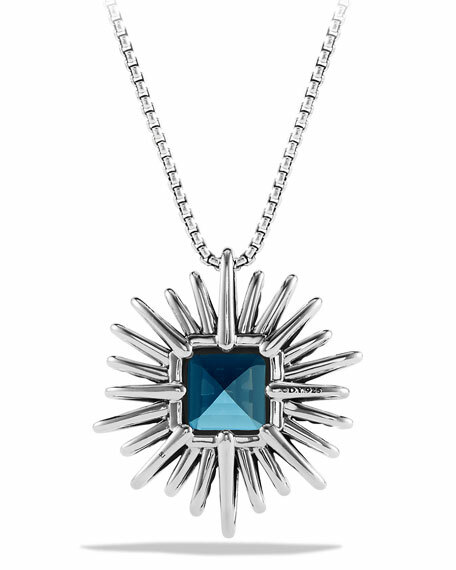 David Yurman necklace from the Starburst Collection. 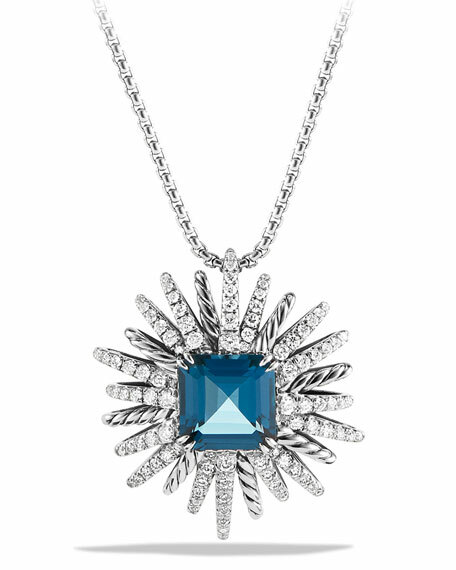 Starburst pendant with faceted Hampton blue topaz center. Pavé white diamonds trim setting. For in-store inquiries, use sku #1574035.